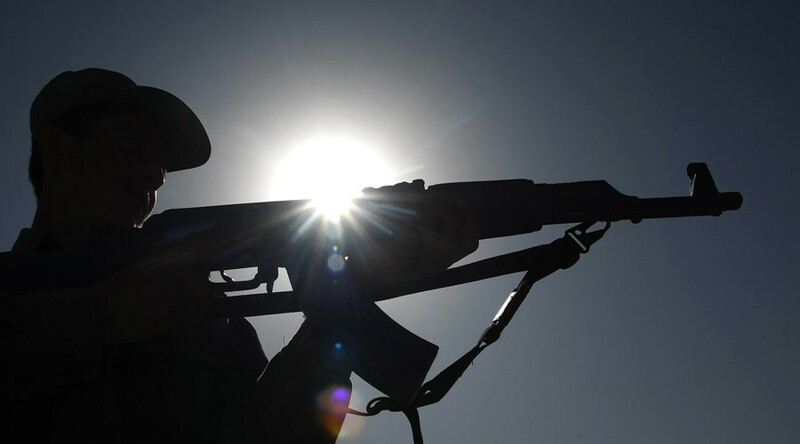 The Czech Republic’s outspoken president, Milos Zeman, drew angry comments from politicians for joking that removing his political opponent, Prime Minister Bohuslav Sobotka, would require either an election or a Kalashnikov rifle. Zeman, 71, and Sobotka, 44, used to be allies, with the PM starting his political career 20 years ago as a legislator for the Social Democrat Party, which was led by Zeman at that time. Now the two are daggers drawn, disagreeing heavily on the issue of refugees arriving in their hundreds of thousands in Europe. Zeman’s popularity rose on his strong anti-immigration statements while Sobotka has a more moderate approach. Speaking on Monday to an audience in the town of Tisnov, Zeman was asked if it would be possible for him to dismiss the prime minister. "If you want to get rid of any politician, including the president, there is only one democratic way and that is a free election, which will take place in a year," Zeman said. "And then there is an undemocratic path – that is called a Kalashnikov," he added, prompting many in the audience to laugh and applaud. The apparent joke angered many Czech politicians. Sobotka himself dismissed Zeman’s words, calling them “stupid” and “unnecessary” and refusing to reply. “We are most likely the only country in the civilized world where the president openly calls for killing the prime minister,” he tweeted, adding that the joke had upset his family. Human Rights Minister Jiri Dienstbier said on Twitter that after promoting extremism and fascism, the president was now promoting political assassination. “This is unworthy of a head of state. He keeps provoking, splitting society, something a good politician would never dare do,” said Petr Fiala, head of the right-wing Civic Democrats. 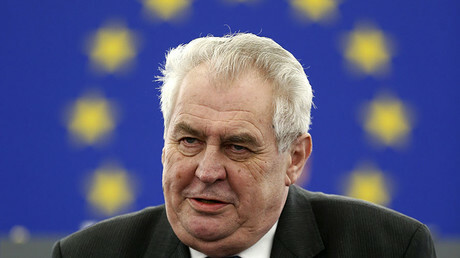 Zeman, the country’s first president elected in a direct election, has little executive power, but is an influential opinion maker in the Czech Republic. He made plenty of statements going against the predominant political views in Europe. For example, he rejected the 2014 armed coup in Ukraine, which the EU hailed, and criticized Brussels’ anti-Russian sanctions imposed in its aftermath.